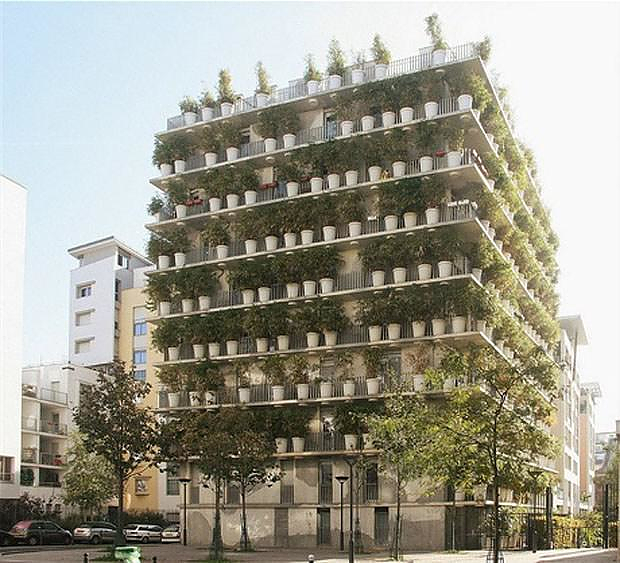 HomeBlogArchitectureFlower Tower by Edouard Francois. 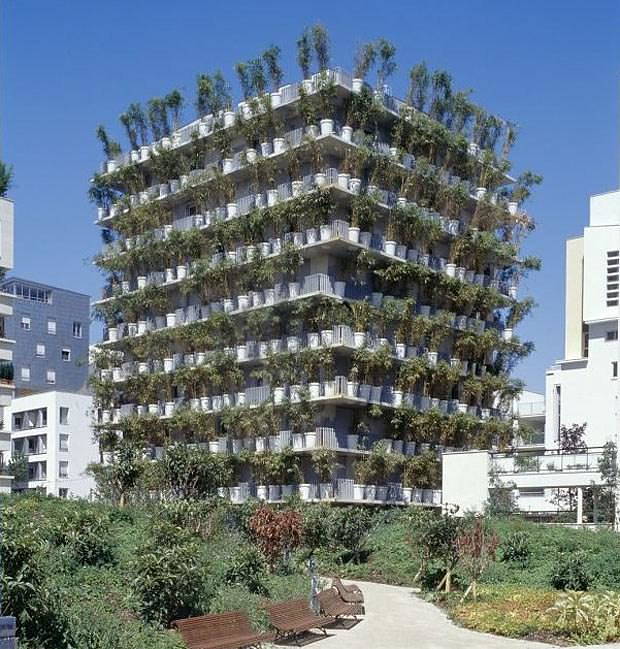 The Flower Tower, although it is not the most impressive architectural creation, is a very good example of how to transform a bulky mass of concrete into a green and more pleasant building. 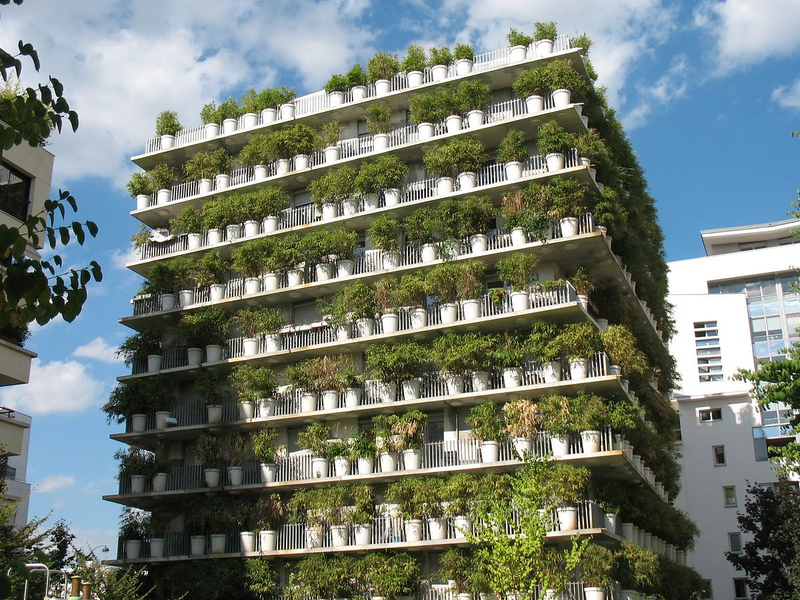 It was created by French architect Edouard Francois and is located in Paris. 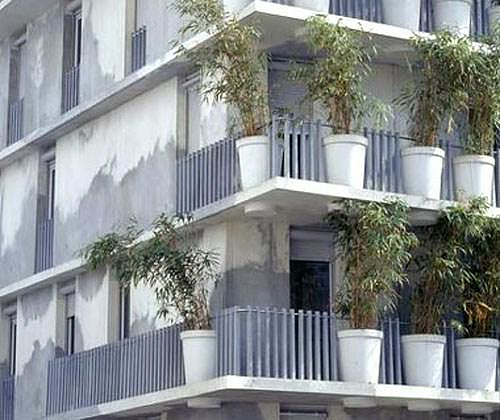 The transformation of the old concrete apartment block into a green oasis was achieved by fitting 380 large concrete pots on the balconies of the building. The pots are 1.2 meter high and were inspired by Parisian window planters. 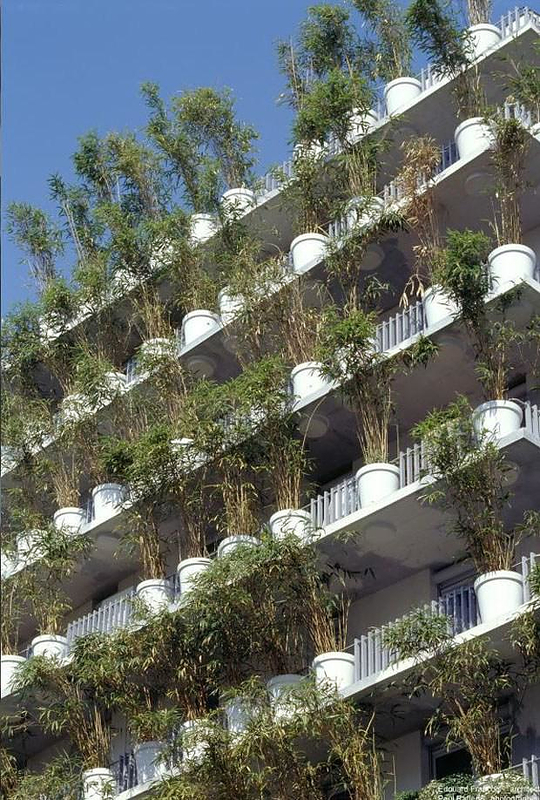 They are permanently embedded into the balconies and were planted with bamboo, a very resilient plant with natural antibacterial properties. The inhabitants do not even have to water or fertilize the plants. 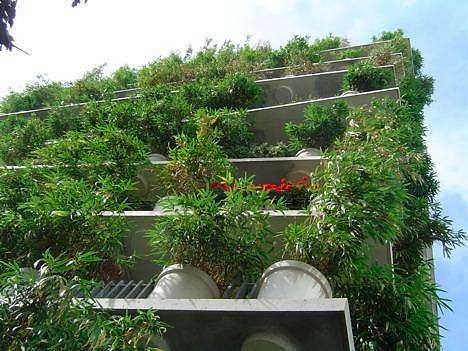 The pots are interconnected with an automatic watering system that drawing from the main water supply and fertilizer from a separate fertilization tank, so the plants are being fed automatically. 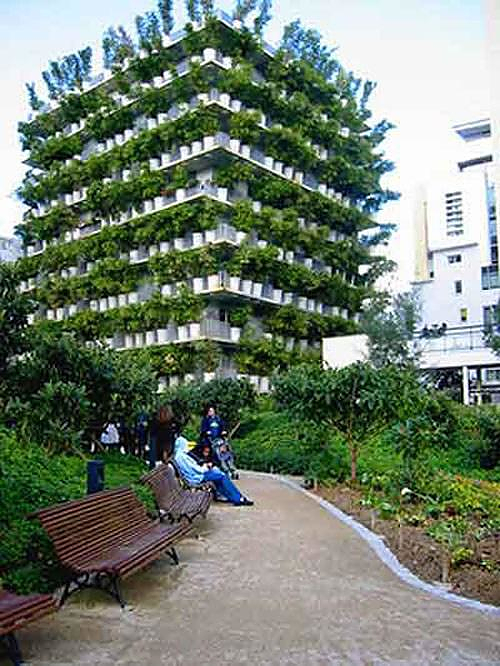 The Flower Tower is essentially the vertical continuation of an adjacent park and the beneficial properties of the “green wall” which is formed by the plants around the building are numerous. 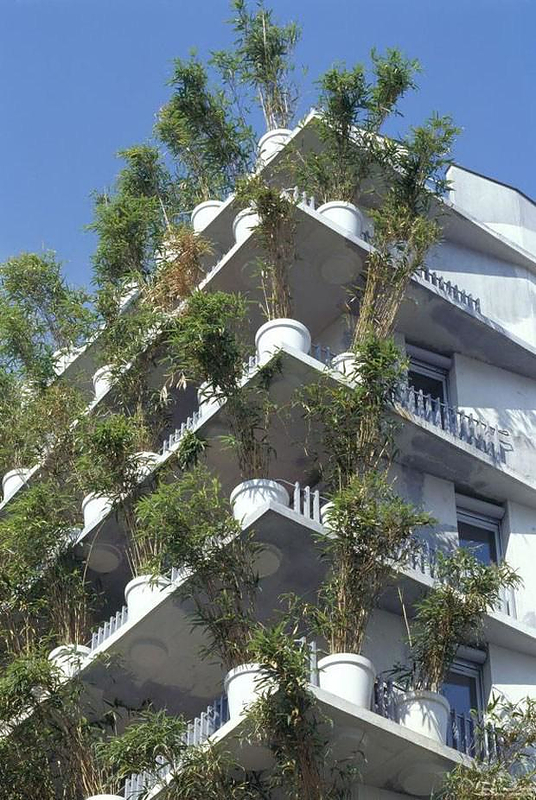 The plants create a shield for protection against heat and cold, thereby naturally improving the thermal properties and the energy performance of the building. They also serve as a sound barrier and the inhabitants enjoy the pleasant rustling of bamboo, rather than the annoying noise of the cars and the city. Lastly, the plants trap carbon dioxide and produce oxygen while they absorb infectious elements such as cadmium and lead, thus improving air quality. 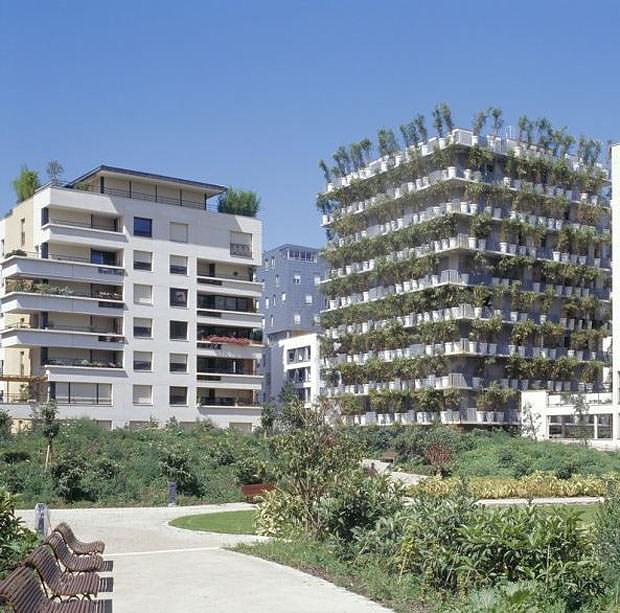 Edouard François used nature to make the building more complex, interesting, and civilized. 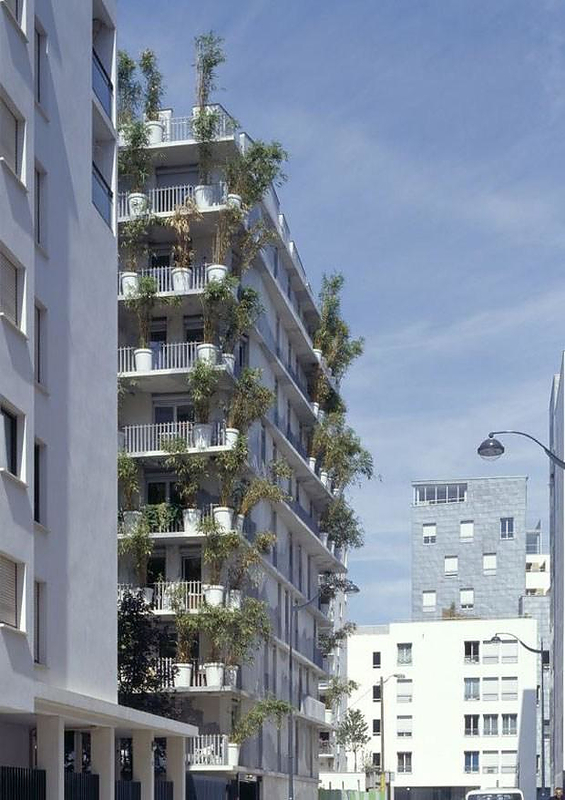 This unique building is an excellent ecological intervention that illustrates a simple and cost effective way to improve the quality of life in urban areas full of pollution and concrete. The Flower Tower embodies the expression of desire for nature in the city.